- In the first half, except for one or two episodes, almost no chances arrived. Dynamo have mainly demonstrated a defensive performance today by dropping back to their own goal and launching the counterattacks. In fact, the Kyiv side realized their only chance and earned three points, since they created nothing but Mbokani’s header and a long distance kick from Gonzalez. Congratulations to our opponents. It's unpleasant to lose to Dynamo, but following the Super Cup tie, I already said that it's a good team and we are going to have a difficult domestic league campaign. By the number of moments, we can be satisfied with the second half. Unfortunately, luck was not on our side. We will move on, as the season is very long. We need to draw conclusions and prepare for the next match. We believe in ourselves. 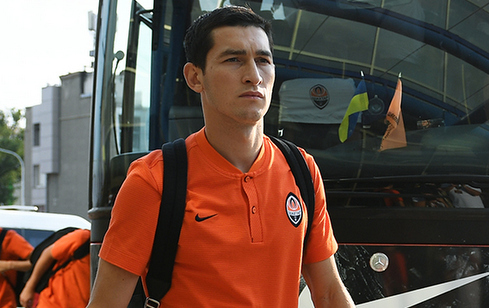 If we produce such a performance as in the second half of the match, Shakhtar will succeed. - We had goal scoring opportunities, but we have not converted them. Whereas Dynamo realized their chance. In general, the duel turned out to be as we anticipated. The opponents operated on the counters and scored a goal following an on-the-edge-of-offside pass. In any case, we need to analyse this match, work and move on. Nothing supernatural happened - the fight is yet to come.